The Samsung Galaxy Nexus went on sale in the UK recently, an LTE version of the device is expected to launch in the US some time in December, possibly December the 8th. 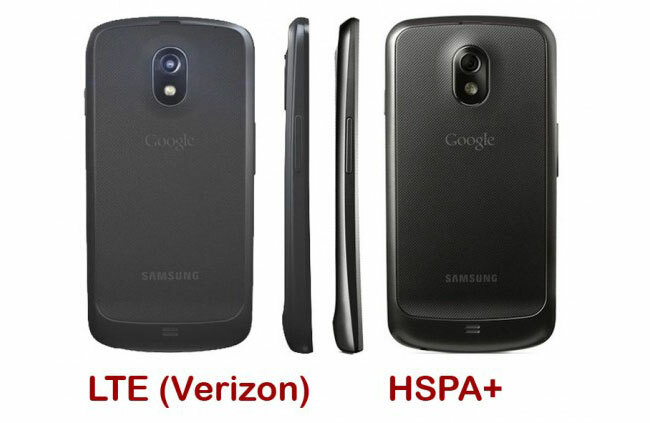 The LTE version of the Samsung Galaxy Nexus will be slightly thicker than the HSPA+ version, and you can see the difference between the two handsets in the photos below. Not much of a difference, the HSPA+ Samsung Galaxy Nexus is 8.9mm thick whilst the LTE Samsung Galaxy Nexus is 9.47mm thick, and the LTE version will feature a slightly larger battery.